Personality : Gently nurturing and a friend of women. Herbal power: Supports healthy menstruation, tones the uterus and may be used for menstrual cramps. 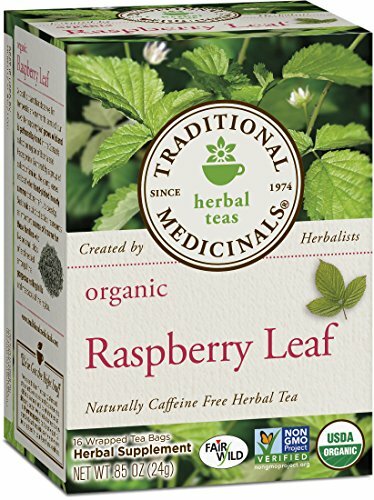 Reason to love: Ff course, the delectable fruit of rubus idaeus is a well-known and well-loved summer treat, but it's the raspberry leaf you'll find in this tea. With a silvery under leaf that is reminiscent of the moon's glow, European and native American women have used raspberry leaf for thousands of years for menstrual support, menstrual cramps and during pregnancy as a healthy tonic to help prepare the womb for childbirth. We love this tea for its gently nurturing properties, and its robust taste, which is reminiscent of a delicate and mildly fruity black tea. Taste: Full-bodied, like a fine black tea (without the caffeine). *The statements have not been evaluated by the food and drug administration. This product is not intended to diagnose, treat, cure or prevent any disease. If you have any questions about this product by Traditional Medicinals, contact us by completing and submitting the form below. If you are looking for a specif part number, please include it with your message.